You’ve heard me use the term “legit” before, and I really like that term…I also like the term “lit” and I think that both of those words are adequate to describe today! We began the day meeting with Deputy Governor Aunny Ieng of Phnom Penh. 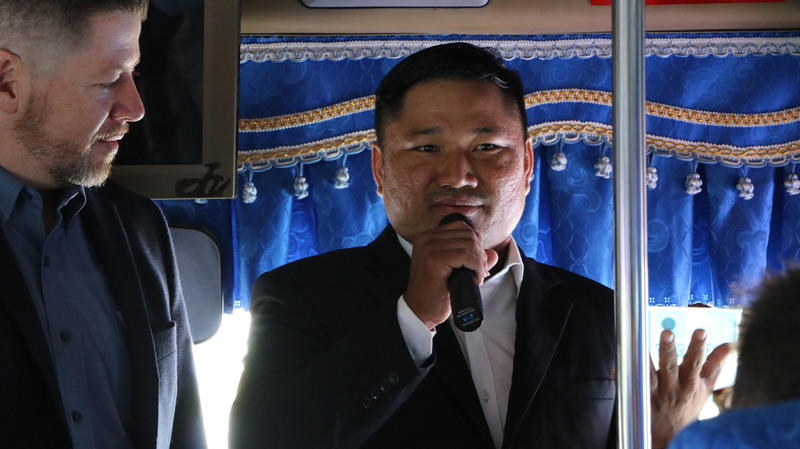 The PCL and Buy A Tree delegation was welcomed and honored as guests of the Deputy Governor. 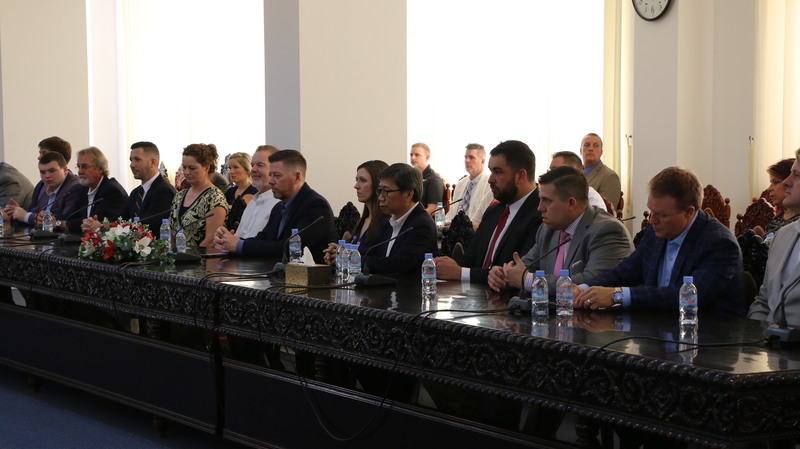 In the afternoon, we were hosted at the Assembly of the Parliament by Kep Chuktema. 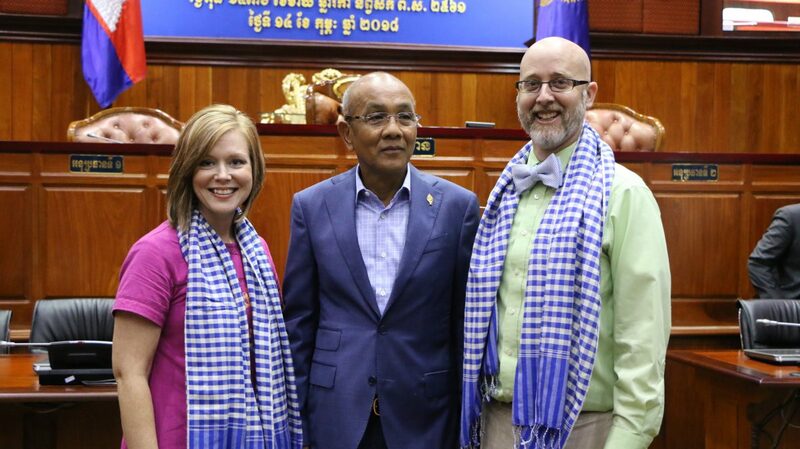 We were treated with honor and respect as ambassadors of help and hope to the people of the Kingdom of Cambodia. In all honesty if it was not for Virak Vatharak (we call him Suhvet!) none of these meetings would have happened, he is the “boots on the ground” for PCL. 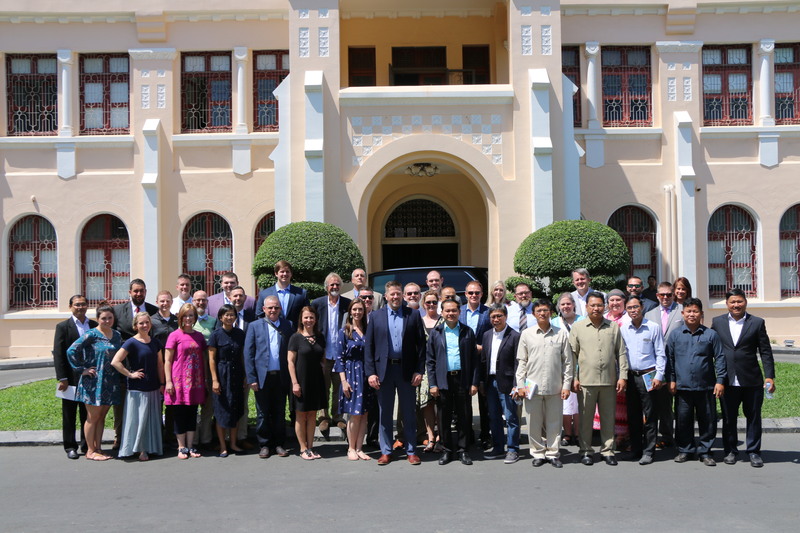 Suhvet is in a continual state of networking with government leaders in an effort to solidify relationship and cooperation, as well as buy in to the many projects of People for Care and Learning. 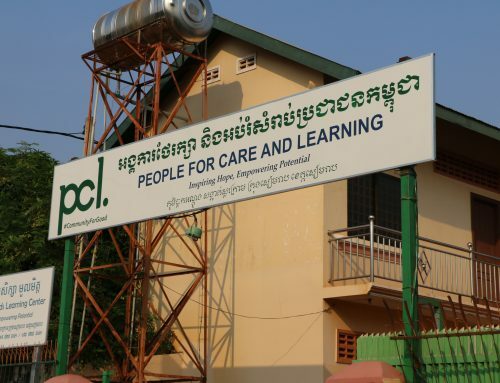 These meetings helped us to understand that over here in Cambodia, even the government officials understand PCL is ‘legit”. 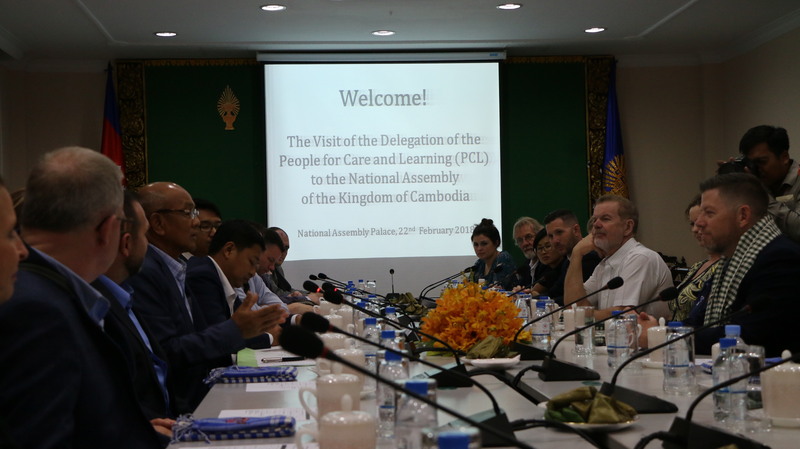 Think about it, these two leaders of Cambodia took precious time from their schedules to host a delegation from the United States in partnership with PCL, sat down at the table together, and expressed their gratitude and hope to continue working together! 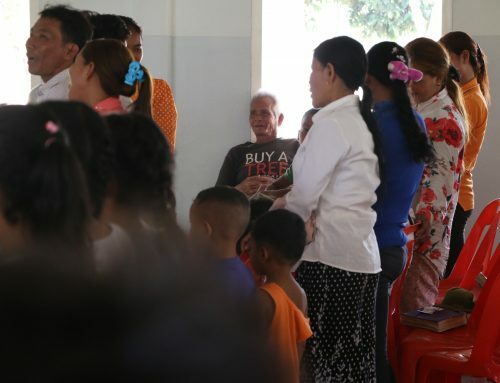 But here is the cool part, the first meeting with Deputy Governor Aunny Ieng opened with these words “we come to you on behalf of a man who was born 2,000 years ago, Jesus Of Nazareth, he taught that we should love one another, and that’s what we are here to do”. Then the meeting ended with “John 3:16 says. ‘God so loved the world that He gave His only son, we are most like Jesus when we are giving and that is what we have come to do. Is there a clearer picture of the gospel that can be painted! 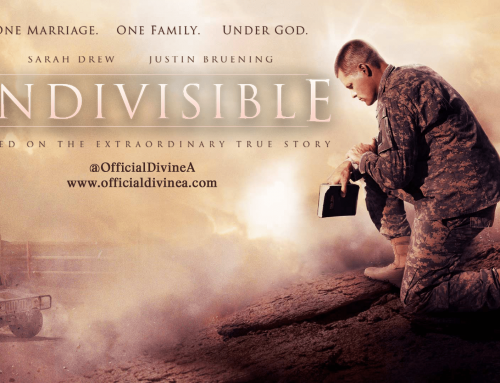 Kudos to Travis Johnson for understanding and being obedient to his role as an ambassador for Christ! We were amazed at the power of God in that room through words of an obedient servant. It’s like we pray all the time “as the song goes forth may the Holy Spirit go forth in power to save, heal and set people free”. Today the Holy Spirit went forth in power through the spoken word! I know I keep bringing this up, BUT your tree purchase is what allowed the Holy Spirit to do his work today! 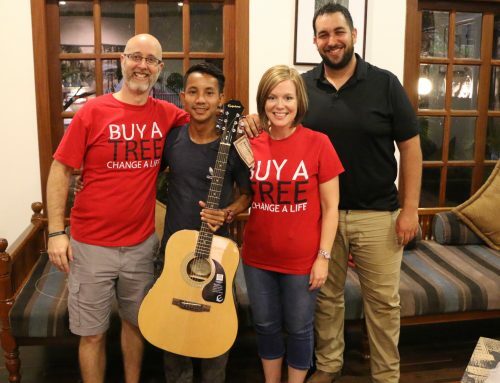 Without your help, there is no meeting, without your help there is no relationship built between government officials and people from the U.S. who love Jesus!